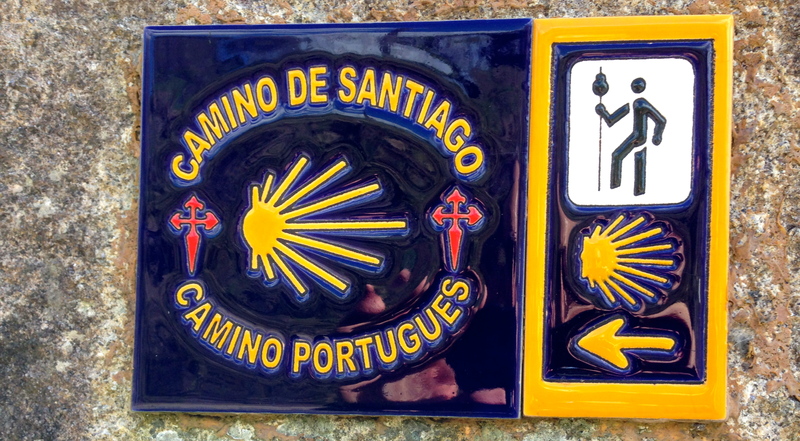 The Camino Portuguese is a 600 kilometer pilgrimage from Lisbon to Santiago. Unlike the more famous Camino Frances from Saint Jean Pied du Port in France, the Portuguese is sparsely used; about 1000 a year make the trek, more than 250,000 travel the Frances. It is, as Frost says, the one less traveled by. It demands more from the pilgrim and has the potential to give more. My first challenge is managing expectations, a belief that my experience walking the Frances a few years back would somehow elevate me to a superior status, make it all easier; the Portuguese would, if not be exactly the same, at least rhyme. Experience does help, to a point. It wasn’t until I lightened my load, dropped my preconceptions, stopped comparing and accepted the Portuguese in all its uniqueness, that I became the wide-eyed rookie on this ‘less traveled’ path. I came equipped. I had my up-to-date 2014 edition of the guidebook by John Brierley, my credentials ready to be stamped and my ever-present notebook. The path is well marked. 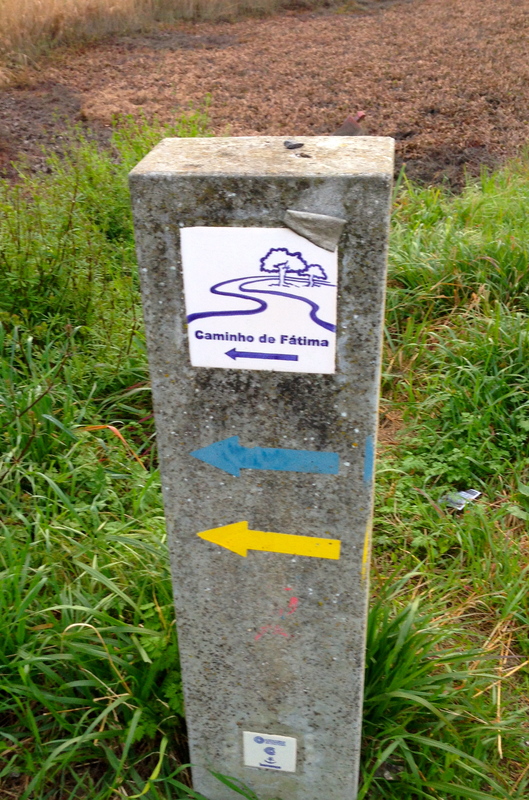 The signposts are clear from Lisbon where we share a path with pilgrims for Fatima and later as we surge north past Fatima where we head north and their signs point south. Our pathfinders were also kind enough to point out where NOT to go, saving louts like me from wandering off deep in thought (or vacant of same). The Portuguese is a more solitary pilgrimage. I met only one other pilgrim in the first week, Ray from England. He was welcome company at the end of the day. The crowd thickened as we neared Santiago but at no time could we have fielded a football team. 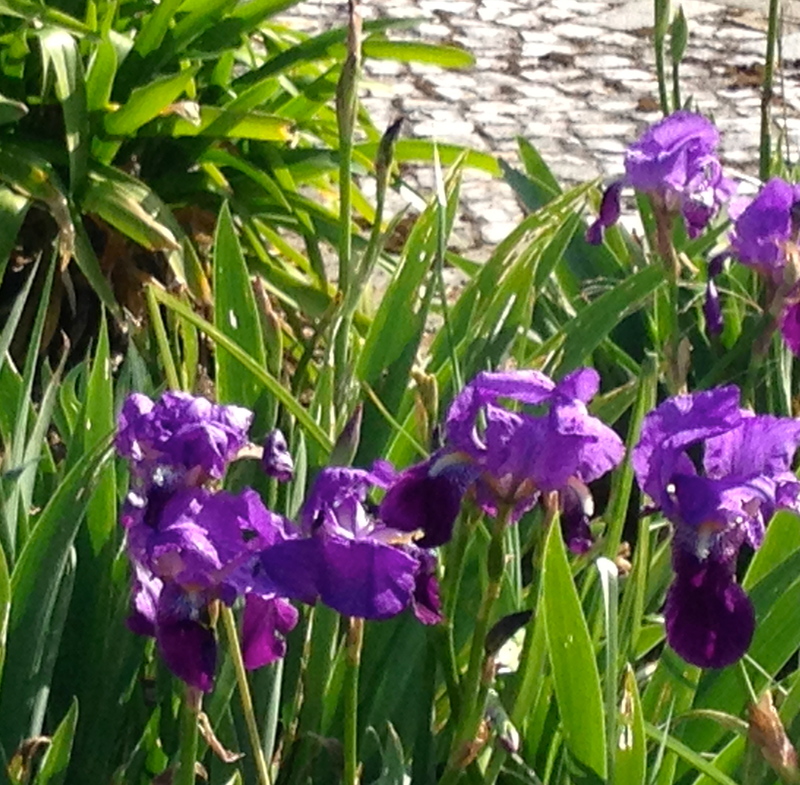 The good news is that there is much more time for quiet contemplation as I walk the camino, there are fewer pilgrims to meet, less pressure to be sociable if i cared not to. Conversely, aloneness can sometimes not be comforting. There is nothing more eerie than settling into a 40 person Albergue as the only pilgrim for the night. There are wonderful Albergues, just fewer of them, leaving fewer options in route planning. The first eight days from Lisbon were all 30+ kilometers apart with no possibilities for stopping or finding a place – any place – to stay if I fatigued before day’s end. Water and food had to be planned more carefully, adding a few kilometers for foraging. I hate carrying water, it is heavy; the alternative, dehydration, makes it imperative. 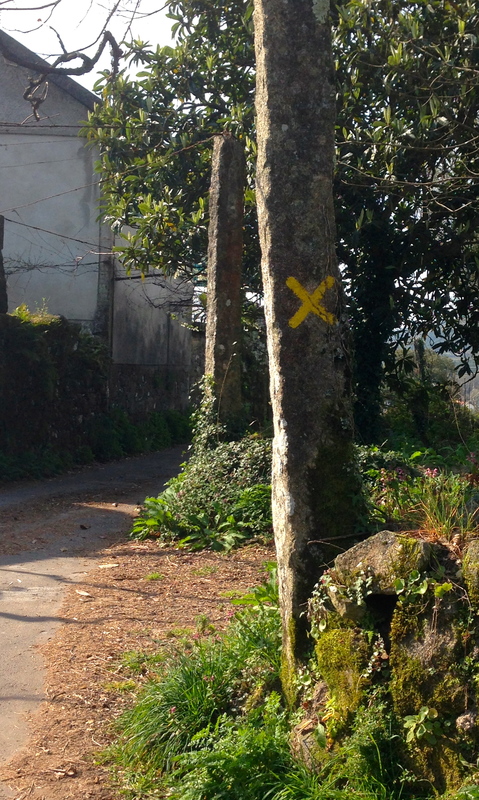 I will forever picture the Camino Portuguese as sunny and cool, perfect spring weather. I was blessed with 23 straight sunny days. 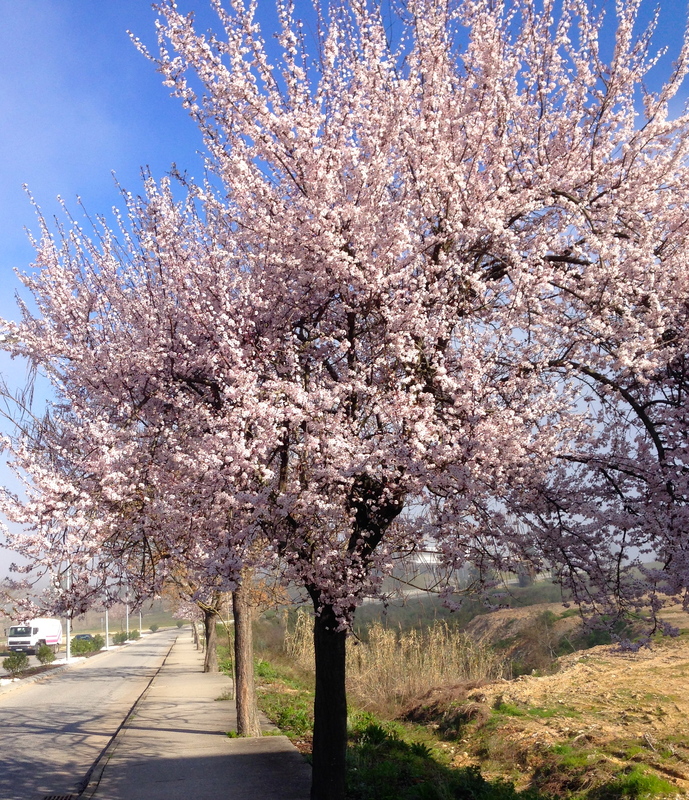 It was spring; farmers were in the fields, trees were blossoming, flowers were blooming. I said ‘bom dia’ to hundreds of back-yard farmers along the way, usually well into the afternoon until someone reminded by replying ‘boa tarde’. Country boy that I am, I forgot that spring also meant it was manure spreading time. 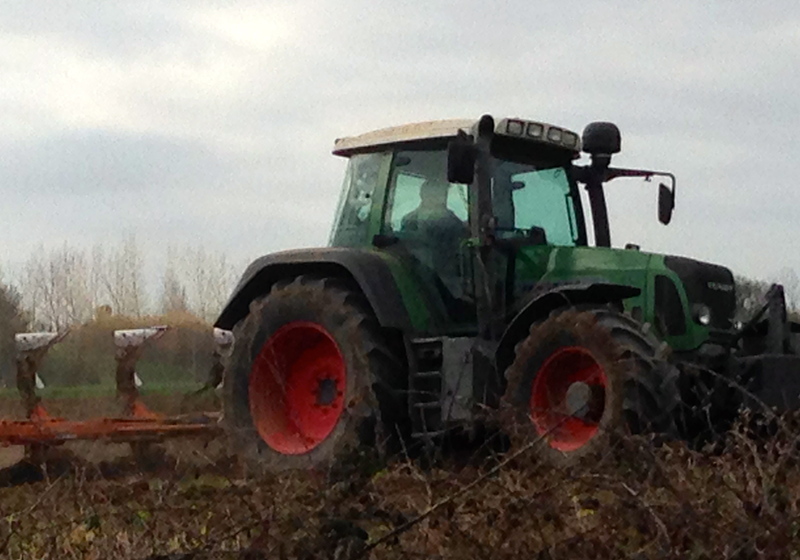 Ah, the pungent smell of fresh pig manure…I forgot that part. Ah, and the sound of roosters – I love the sound of roosters crowing. This walk was alive with folks going about their normal lives. Paradoxically, I’m on an EPIC adventure, something I’ve been planning and training for over months; everything is exotic and strange to me. Yet I am walking through peoples’ day-to-days. They are planting gardens, hanging laundry, delivering bread, plowing fields; it takes the edge off my terminal uniqueness – different, yes; EPIC…maybe, maybe not. 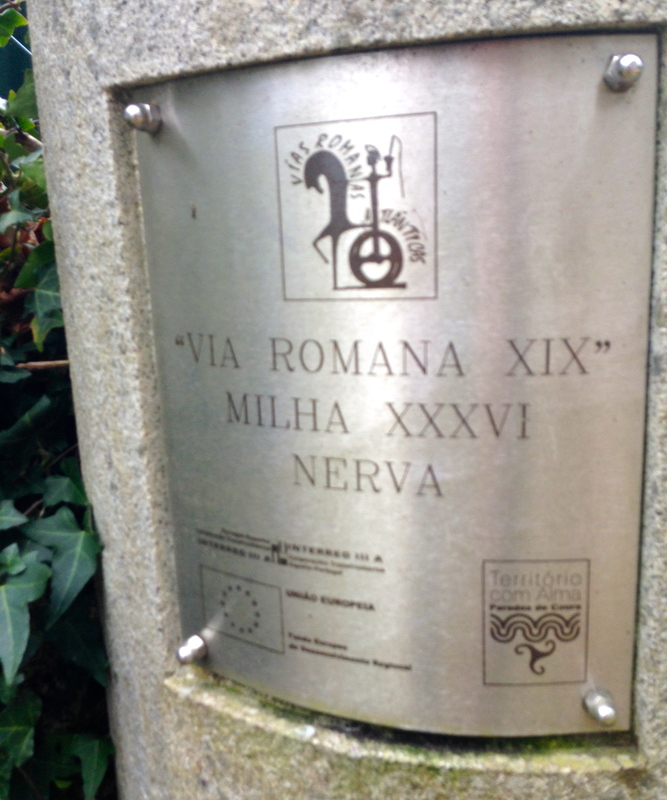 I am walking on roads created by the Romans in the first Century AD. I walk paths eroded by the passage of feet and time to the point that they are now several feet below the surface of the forest. I walk over bridges first built centuries ago, refurbished, rebuilt but partly original. I called it walking with the Centurions. I try to be Indiana Jones, to let my imagination roam free, to let history come alive at the Knights Templar Castle in Tomar, my stop for a day. The joy of these pilgrimages is a route that passes historic sites; directly through village squares, old towns and past every city’s oldest cathedrals. I continue to be amazed at the depth and complexity of Europe’s history; it accumulates, leaves footprints, ruins, remnants and echoes. Bits and pieces form the foundation of the next era. So, what does this all mean? If I shake a kaleidoscope, I get a whole new picture; new colours, new shapes, new composition. 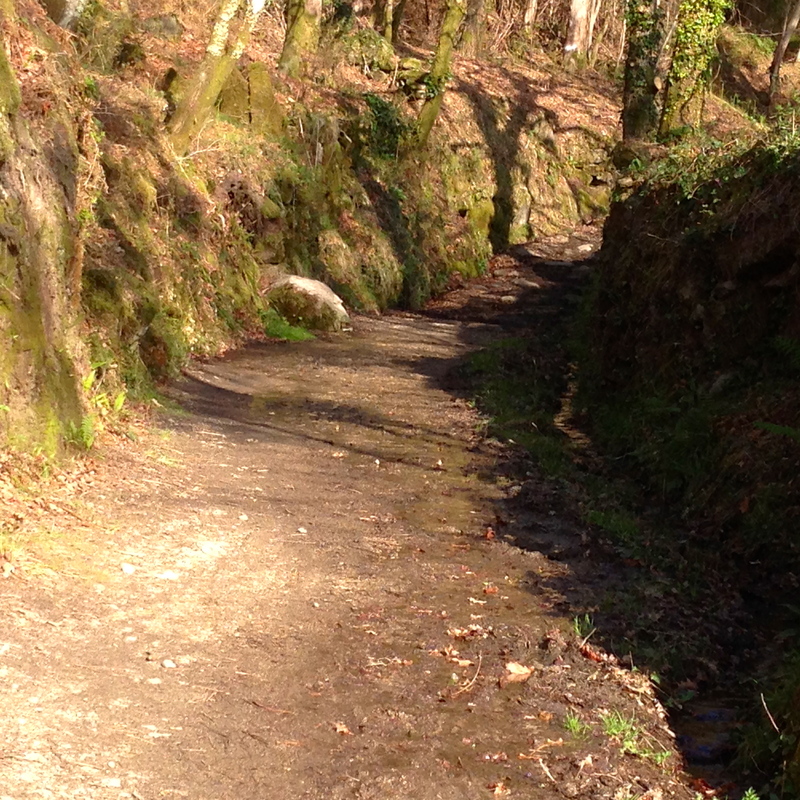 Likewise, if I shake my head, I retrieve a completely new Camino experience. I will forget the two days spent with a slightly inflamed tendon in my shin (I thought it might be the end of me – oh, the drama of the self diagnosis, alone in a strange land). I recovered. I’ll forget the tedium of walking at four kilometers and hour, the fatigue and the discomfort. It does slow me down and puts in the present. I’ll forget the boredom of evenings alone with three channels of Portuguese TV; so that’s where all our 8 inch Tube TV sets were shipped, one star hotels in Portugal – mystery solved! I did have my iPhone – ubiquitous, but I’ll reconcile my reliance on it with its power to connect me to loved ones. I’ll forget the occasional bouts of loneliness, ennui and self pity at the end of tiring days. They come like a prairie thunderstorm and then they’re gone. 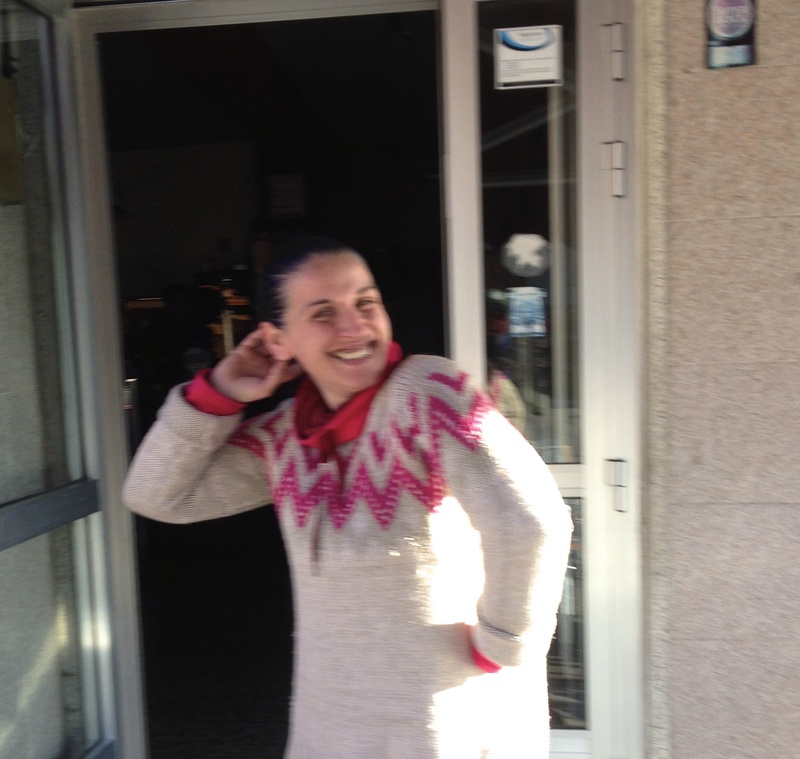 The kindness of people along the way; so many that when I rolled them over in my brain, they brought smiles. Those tender mercies from strangers to a stranger in a strange land blossomed radiantly for me – the embodiment of simple human kindness, worldwide. The generosity of hoteliers and cafe owners. In a small town, Golega, I found the O Te restaurant/hotel. 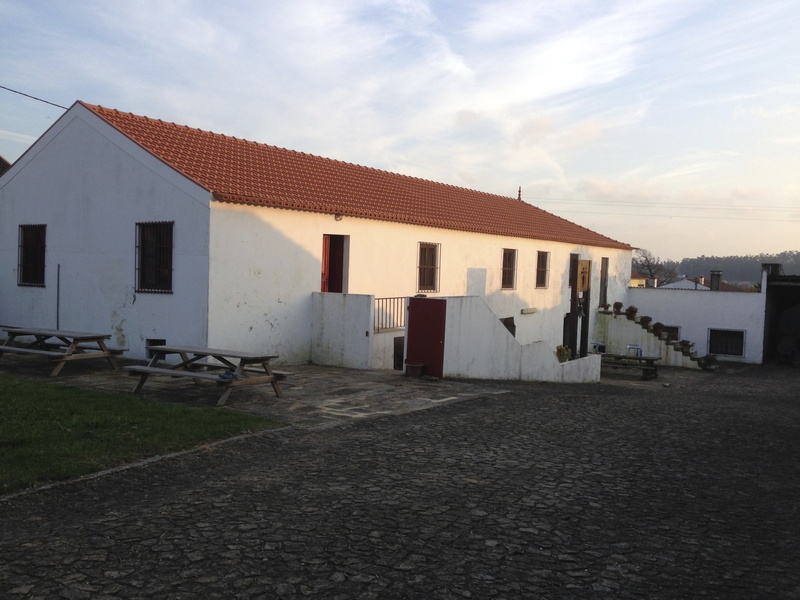 I had my pick of the second floors rooms, an incredible suckling pig dinner, a goodbye espresso in the morning and a few smiles and kind words from an elderly French Moroccan who somehow ended up being a hotelier in rural Portugal (Oh the stories he could have told) – all for 30 euros. At that price, I was sure he hadn’t overcharged me. The folks who marked the trails for us, who maintain them; we will never see each other but we are deeply grateful. Miguel and Jennifer, who embody Portugal’s global sophistication and confidence; their passion for Porto gave me a chance to see a truly beautiful city through the eyes of its most loving citizens, including the most beautiful bookstore I have ever visited. 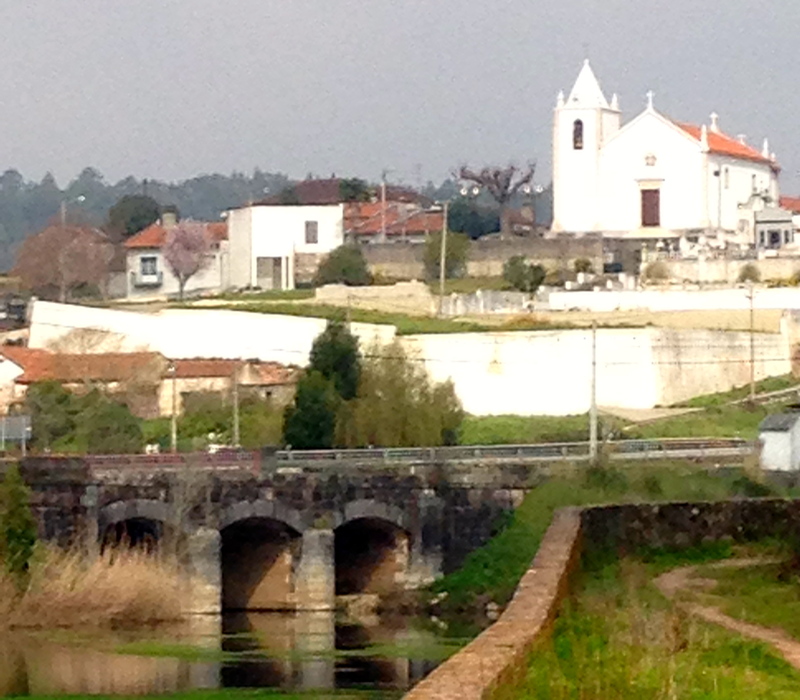 I will remember the beauty of Ponte de Vila; a town which captures sublime beauty, a deep respect for its history and a surprising modernity. I will most certainly remember Portuguese bread. 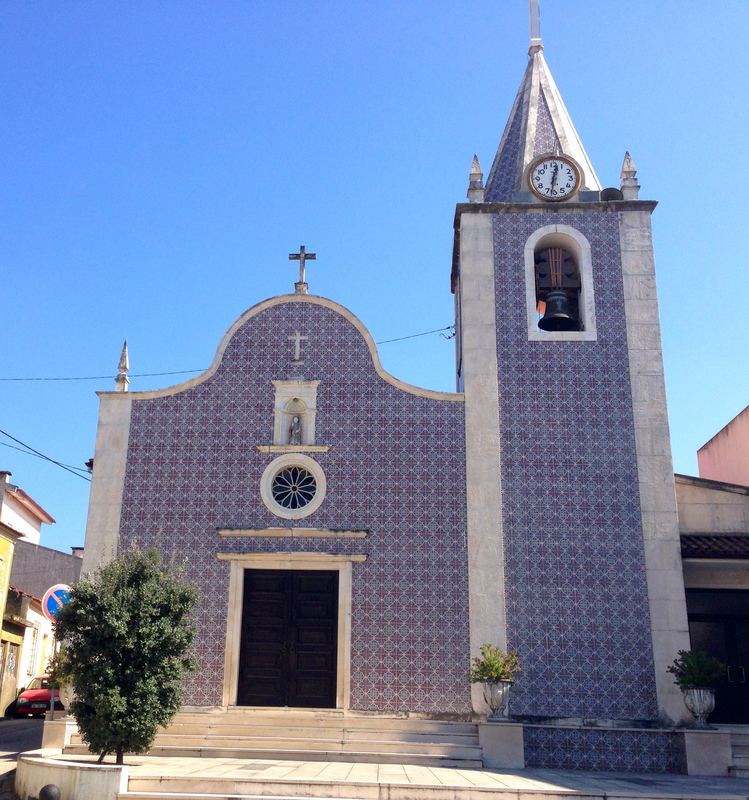 I will remember the Portuguese use of tiles that decorated houses, churches and buildings, turning them into works of art. I’ll remember all the churches along the way, loving maintained. 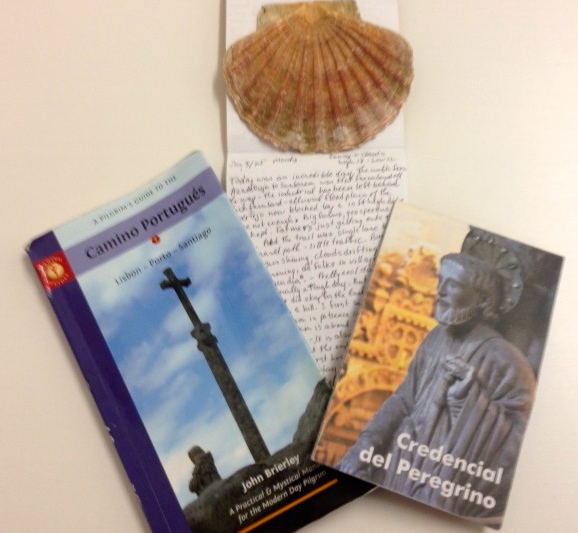 I will remember that adventures such as walking this camino are a privilege for which I am grateful. I get my self into these situations for a reason. I will remember arriving in Santiago, marking the end at the noon mass at the Sanitiago Cathedral, savouring the sense of completeness, of accomplishment. I will remember bits and pieces of everything I saw, heard, smelt, touched and tasted. I will remember stopping regularly, looking around and asking myself the question, ‘where would I rather be right now than right here?’ The answer was always the same. “I took the one less traveled by and that has made all the difference”. 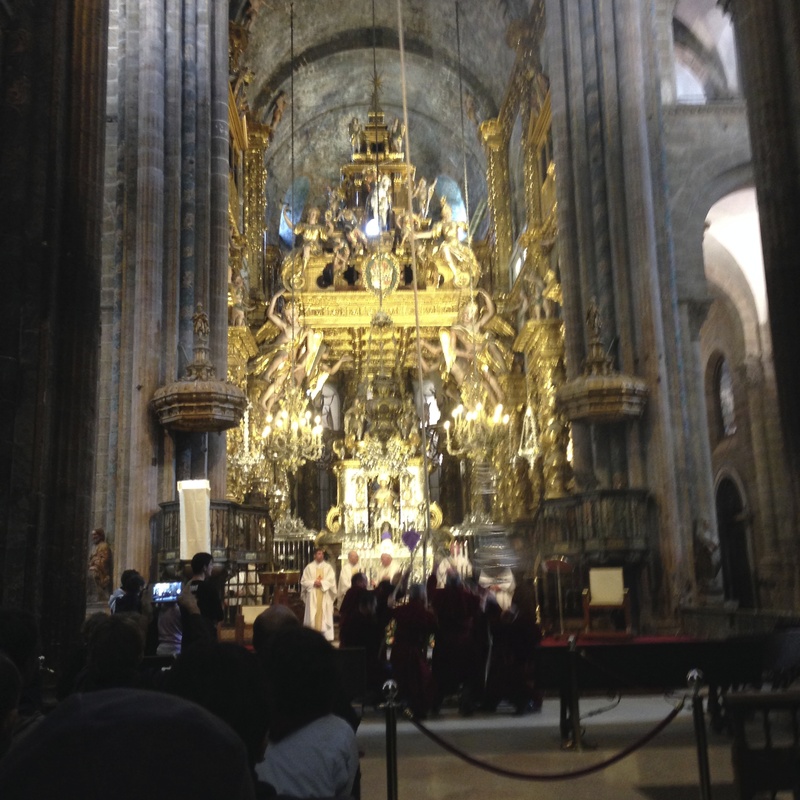 This entry was posted in Uncategorized and tagged Albergue, Camino, Camino Portuges, camino Portugues, Camino Portuguese, fitness over 60, Hike, middle aged fitness, midlife adventures, Off the Couch and Out the Door, Porto, Protugal, Spain, St Francis way. Bookmark the permalink.